Sovereign 4.2. Sovereign V12. Daimler Limousine. Daimler Double Six 5.3. Daimler 4.2. XJS - 3.6, V12 5.3. XJ6 - 3.4, 4.2. JAGUAR RANGE Sales Brochure. 20 page booklet plus 4 page UK specification insert, well illustrated, English text. Undated but c late 1986 and covers 1986-1987 models. JAGUAR XJS RANGE Sales Brochure Dated September 1986 PRINTED IN THE USA MODELS FEATURED: XJS, XJSC & XJS Convertible by Hess & Eisenhardt. PUBLICATION No: 100M/9/86. FORMAT: Large Format Stapled Brochure, 18 Pages. LANGUAGES: English. ILLUSTRATIONS: Colour Photographs. SIZE APPROX: 12”x 12”. CONDITION: Overall condition is GOOD/VERY GOOD. The covers are scuffed at the corners. The area around the spine is slightly damp affected. Handling/storage marks, minor creases & light soiling/discolouration appears throughout with scuffs to the corners/edges. Please see attached photographs and if you require any further details we will be only too happy to assist. Another item from POOKS MOTOR BOOKS. Daimler limousine. Daimler 4.2. Large, comprehensive brochure for the Jaguar/Daimler range in 1986. Jaguar operations/production. 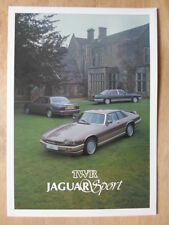 This is an original glossy sales brochure on the Jaguar Sport TWR range of cars for the UK Market from 1986. Models covered are the Series III XJ Saloons (inc V12), XJS Coupe and Convertible 3.6 and 5.3 Litre V12 and the then newly released XJ40 Series XJ6 and Sovereign. Sovereign V12. Sovereign 4.2. Daimler Limousine. Daimler 4.2. Daimler Double Six. This brochure contains52 pages and is dated 1986. Within the brochure there are details on. To avoid confusion I like to be honest when describing brochures. JAGUAR & DAIMLER Sales Brochure For 1986 MODELS FEATURED: JAGUAR - XJ6 (3.4 & 4.2), Sovereign 4.2, XJ-S (3.6 & V12) & XJ-SC (3.6 & V12). DAIMLER - 4.2, Double Six & Limousine. PUBLICATION No: JAG/86/01. FORMAT: Stapled Brochure, 52 Pages. ILLUSTRATIONS: Colour Photographic Images. LANGUAGES: English. SIZE APPROX: 11 ¾”x 8 ¼”. CONDITION: Overall condition is GOOD/VERY GOOD. The covers are showing a little wear. Handling marks & minor creases present throughout with scuffs/bumps to the corners/edges. Daimler Limousine DS420. Jaguar Sovereign 4.2 and V12. Original UK market Sales Brochure for the Jaguar and Daimler Range. Daimler Double Six. Daimler 4.2. Jaguar XJ6 3.4 and 4.2. Jaguar XJ-S 3.6 and V12. XJ-S H.E. 5.3 V12 Coupe. XJ-SC 3.6 Cabriolet. JAGUAR XJ-S Sales Brochure. XJ-S 3.6 Coupe. Dated 1985 - Publication No J/UK/85/010. I HAVE A HUGE COLLECTION OF ALMOST 5000 AUTOSPORT MAGAZINES RANGING FROM 1950s TO 2007. 6 page folder, well illustrated, English text. 20x27cm approx. 1986 JAGUAR COLOUR & TRIM GUIDE. I HAVE A HUGE COLLECTION OF ALMOST 5000 AUTOSPORT MAGAZINES RANGING FROM 1950s TO 2007. Sovereign 4.2. Sovereign V12. Dutch text. In very good condition. Daimler Double Six. One sided single sheet, well illustrated, English text. Daimler - 4.2, Double-Six, Limousine. 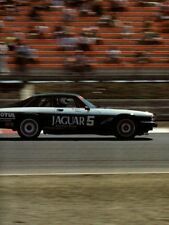 Jaguar XJS - 3.6, V12, XJ-SC V12. Jaguar XJ6 - 3.4, 4.2, Sovereign 4.2, Sovereign V12. 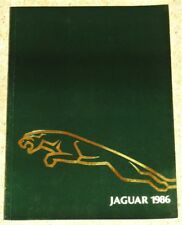 JAGUAR Sales Brochure. Racing Jaguars. I HAVE A HUGE COLLECTION OF ALMOST 5000 AUTOSPORT MAGAZINES RANGING FROM 1950s TO 2007. 1987 JAGUAR COLOUR & TRIM GUIDE. I HAVE A HUGE COLLECTION OF ALMOST 5000 AUTOSPORT MAGAZINES RANGING FROM 1950s TO 2007. 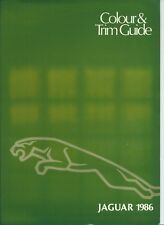 JAGUAR ACCESSORIES Sales Brochure & Price List. I HAVE A HUGE COLLECTION OF ALMOST 5000 AUTOSPORT MAGAZINES RANGING FROM 1950s TO 2007. XJ6 (XJ40) - 2.9, 3.6. Sovereign (XJ40) - 2.9. Daimler 3.6 (XJ40). XJS - 3.6 Coupe, V12 Coupe. Sovereign V12 (Series III). XJ-SC - 3.6, V12. JAGUAR DAIMLER RANGE Sales Brochure. Daimler Double Six (Series III). Jaguar back at Le Mans. Jaguar in 1986. The Magazine of Jaguar Cars Limited. the Jaguar Quiz. Published 1986. I HAVE A HUGE COLLECTION OF ALMOST 5000 AUTOSPORT MAGAZINES RANGING FROM 1950s TO 2007. Music at the Maltings. Series III Jaguar Sovereign V12. Series III Daimler Double Six V12. Jaguar XJS - Coupe & Cabriolet - 3.6, 5.3. JAGUAR RANGE Sales Brochure. New Jaguar XJ6 - 2.9, 3.6. New Jaguar Sovereign - 2.9, 3.6. Silk Cut Jaguar XJR-6. Models included:- XJ6, XJ-S V12, Daimler Double Six, XJ-SC, Sovereign. JAGUAR/DAIMLER RANGE UK SALES BROCHURE. English text.